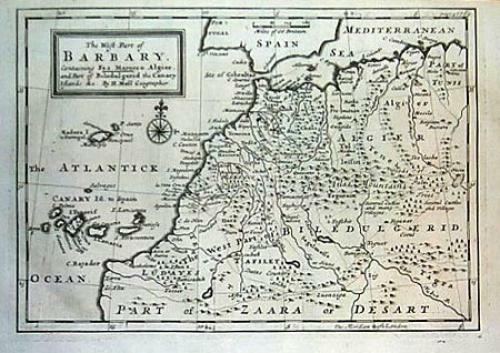 Title: 'The West Part of Barbary. Containing Fez. Marocco. Algiers. And Part of Biledulgerid the Canary Islands &c'. A handsome map of North western Africa by Herman Moll.